It seems that consumers have never been more interested in what they are eating. For much of the past three generations, most of America showed up at grocery stores and filled their carts with popular brand name foods and packaged meals. The generations drifted away from the farm and for the first time in much of recorded history, food was plentiful, relatively inexpensive and easy to get. Food was nutritionally balanced with longer and more stable shelf life, safer, and packaged for large families. It wasn’t the same story around the globe, but much of our country moved away from first hand contact with food production. In the meantime, farmers across the United States used innovative growing techniques to raise more food to feed the rising world population. Labor in our country has become less burdensome for many and that lack of activity has in part led to increased cases of obesity, diabetes and other negative health effects. We’ve also become more aware of the need for food safety as increased tracking of our food supply has helped locate sources of food contamination and food borne illness. Many consumers are willing to purchase food that is more perishable because it is eaten more quickly, often that same day, and are willing to purchase from other sources besides a traditional retail grocer. In this era where fewer people have any contact with production agriculture, many consumers are curious about their food. For some, shopping local gives them reassurance that their food is fresh. Shopping a farmers market and eating at a local restaurant can put consumers in direct contact with growers that raised their food and chefs that prepare meals for them. For others, eating organic food is important. 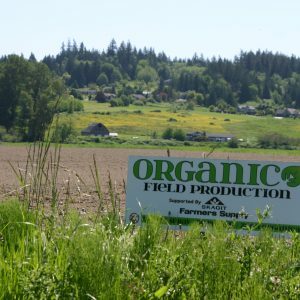 Many studies have shown that organic food production cannot feed the global population by itself, but it is viable as many farmers in western Washington are growing more than 40 organic crops to feed the growing demand in the market place. Skagit Farmers Supply has been custom blending organic fertilizers for more than 15 years to support what was once a niche market in the Pacific Northwest. This interest in safe food production is a global issue and is being conducted on an international scale. 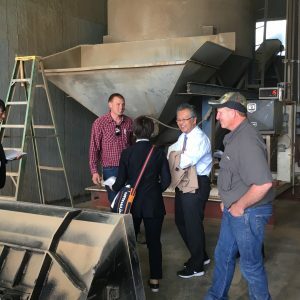 Skagit Farmers Supply recently hosted representatives of the Japanese government as they toured Washington State to find out more about organic and conventional crop nutrient certifications and how that process worked. Masahiro Segawa is the Director for the Plant Products Safety Division at the Food Safety and Consumer Affairs Bureau with the Ministry of Agriculture, Forestry and Fisheries in Tokyo. Associate Director Yuki Nojima and Consulate-General of Japan, Seattle Naoki Hayasaka joined Mr. Segawa as they visited the Skagit Farmers Supply Agronomy Center in Conway, Washington. They wanted to learn more about the safe storage, blending and transport of organic and conventional crop nutrients to the farmers we serve. 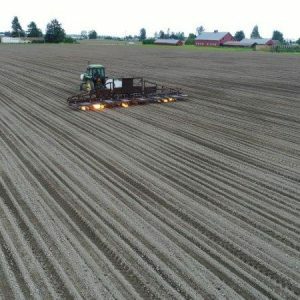 The unique geography we serve in western Washington has allowed farmers to start organic production on a small scale well ahead of other areas and has helped generate valuable knowledge in organic production that is now being used by progressive, larger farmers. The consumer is the driver of this demand. Large corporations involved in the food industry are now active in providing customers products with simplified ingredient labels and farmers are seeing the need to be educators to a population that is now interested in farming. For those of us that grew up around a farm, this is nice to see. Cities are filling this need with community gardens and farmers markets. Schools are planting gardens and getting students involved with food production and preparation. These are all good steps to help our population become more aware of what many of our ancestors knew; there is something quite healthy about knowing where your food comes from and how to grow and nurture it. As consumers continue to increase their knowledge of food production, they will continue to find that generational farmers will share their passion for growing food with them. It’s a passion that in many cases has been passed down for more than four or five generations in communities and on family farms across our country.